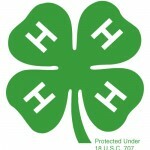 Volunteering in the Panhandle is a publication for 4-H volunteers and is provided by 4-H Extension Agents in Northwest Florida. 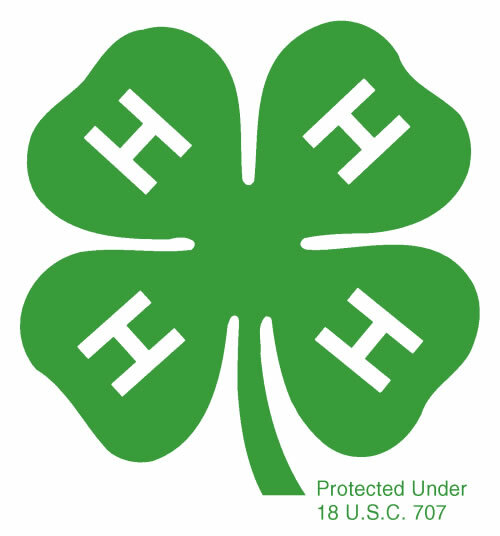 The team of 4-H Extension Agents in the Northwest District of Florida are very excited to be launching our Volunteering in the Panhandle Facebook page and Twitter feed. Please like us, follow us, or check in every so often. We will still be publishing the newsletter on our website, and we will of course, continue to send out e-mail messages via the subscription management system when we post something new, so if you don’t use Facebook or Twitter, there is no reason to worry. You will still be in the loop! There’s a home agricultural movement sweeping the United States. Raising chickens in the backyard, not only in rural settings but also urban and suburban areas, is quickly gaining in popularity. Chickens are very social animals and provide not only enjoyment, but high quality, nutritious eggs. Several websites promote and advocate raising chickens in urban/suburban locales and provide readers information on building coops, breed information, incubation and hatching, growing your own chicken feed and protecting chickens from disease. 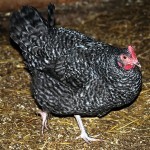 Search on Pinterest and you’ll find coops and chicken breeds of every shape and size. Egg incubation and hatching is another aspect of 4-H poultry projects that is awe-inspiring for our youngest to oldest 4-H’ers. To think that a baby chick forms in only 21 short days is amazing. Raising poultry is a relatively inexpensive and easy 4-H project for youth to begin. Chickens require little space, feed is readily available, and compared to large, traditional 4-H livestock projects, care is minimal. But before you send club members to the local farm supply store or order chicks or fertilized eggs from an online vendor, check city ordinances so that they are in compliance. Tallahassee, however, has three very specific rules with four very specific exceptions. To explore your city’s municipal codes, visit municode.com, select state followed by city. Entering poultry or chickens in the search box should take you directly to ordinances on this subject. What is Gained through Sewing? Sewing is much more than just making a garment or a bag, instead it is the vehicle to teach self-confidence through skill building. In today’s world, sewing is no longer a necessity as it was in our mothers’ and grandmothers’ day. Most women of that era knew how to sew and could clothe their families by using their sewing skills. Now, sewing can be expensive, so why should children be taught to sew? 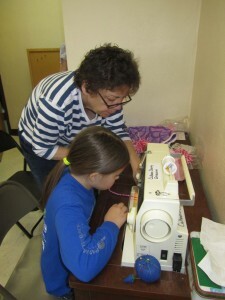 The goal of teaching children, and adults for that matter, to sew is to gain self-confidence as they learn a new skill. Hand sewing skills develop finger dexterity and the development of fine motor skills. If you have ever hand sewn you know it can also teach you the value of patience. These skills can be used not only to create beautiful pieces of art and heirlooms to be passed down, they are the same skills needed to mend cloths. Knowing how to put a hem back in pants and skirts as well as how to sew a button back on a garment is extremely important and can be very expensive to have done. Sewing teaches listening and following of directions. Either a student listens to or reads directions in order to complete a project. Reading and following a pattern is the hardest part of sewing for many people. Throughout life we follow directions. In our modern world we listen to the GPS to aid us in reaching a destination or follow the printed map. Did you make the connection between sewing and reaching a destination? Not only can basic skills be taught through sewing, there is a lot of science, technology, engineering, and math that can be taught. Many creative people are also great engineers. A lot of the modern sewing machines are computer driven. Just learning to operate some of them takes a technologically minded person. Think of the science that goes into engineering the new fibers that are used to make not only clothing but all the other items we use made of fibers. And the measurement skills, addition, and subtraction that go into sewing are naturally math concepts. Sewing is much more than just making a garment or a bag, instead it is the vehicle to teach self-confidence through skill building. If you don’t know how to sew yourself, either learn or find another volunteer who has the skill. Let’s teach youth skills they will carry with them throughout life.